The well-known leading maker of headsets, Plantronics has launched its next-generation Voyager PRO UC, which the company claims as the first and only intelligent headset that combines a new innovative smart sensor with industry-leading audio technology, designed for UC (Unified Communications) apps and softphones from IBM, Avaya, Cisco and so forth. “For years, mobile calling and computer-based communication services like Skype or Microsoft Lync have existed in silos,” commented Renee Niemi, senior vice president for Communications Solutions at Plantronics. “The Plantronics Voyager Pro UC unifies and simplifies communications for today’s connected and increasingly distributed workforce by enabling accurate availability information and delivering intuitive features like smart call transfer. For 50 years, Plantronics has revolutionized the way we communicate and today’s announcement represents our longstanding commitment to innovation and making smarter communications a reality. 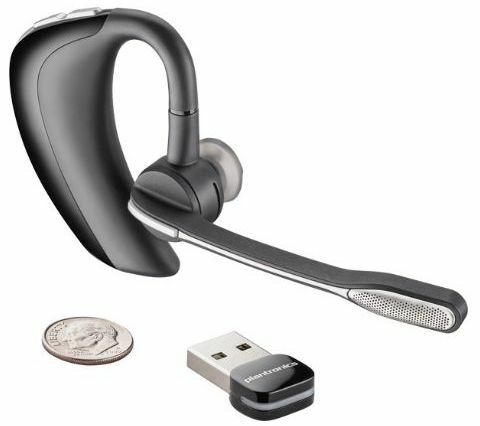 The new award-winning Plantronics Voyager PRO UC headset that includes a new mini USB Bluetooth adapter and intelligent, customizable software is now available for around $200.